Original Series There are 29 products. Pocket is still MOC, card may show some storage wear, blister is intact. Overall great carded item. later Polly Pocket playset from Bluebird Toys England 1997. Items are in played with condition but display very nice, only 1 available, you’ll receive exact items in the picture. Comes with Polly and Lauren, magnetic feature works. We combine shipping, any questions, please contact us. 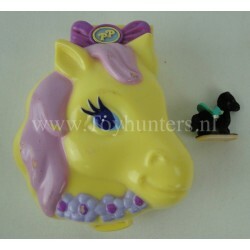 Original Polly Pocket compact from Bluebird Toys England 1993. Items are in played with condition but display very nice, only 1 available, you’ll receive exact items in the picture. Comes with figure and 2 panda’s. We combine shipping, any questions, please contact us. Original Polly Pocket compact from Bluebird Toys England 1990. Items are in played with condition but display very nice, only 1 available, you’ll receive exact items in the picture. Comes with Mr. Fry and Dishy. We combine shipping, any questions, please contact us. 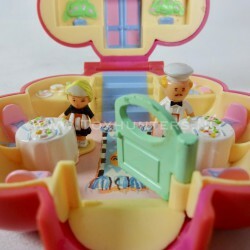 Original Polly Pocket compact from Bluebird Toys England 1989. Items are in played with condition but display very nice, only 1 available, you’ll receive exact items in the picture. Comes with 1x baby. We combine shipping, any questions, please contact us. Original Polly Pocket compact from Bluebird Toys England 1990. Items are in played with condition but display very nice, only 1 available, you’ll receive exact items in the picture. Comes with 3 floats. We combine shipping, any questions, please contact us. 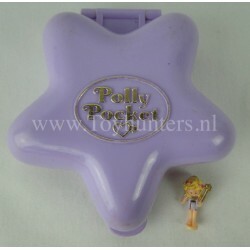 Original Polly Pocket compact from Bluebird Toys England 1994. Items are in played with condition but display very nice, only 1 available, you’ll receive exact items in the picture. Comes with Midnight the Horse. We combine shipping, any questions, please contact us. Original Polly Pocket compact from Bluebird Toys England 1992. Items are in played with condition but display very nice, only 1 available, you’ll receive exact items in the picture. Comes with Polly, still has wings, see picture. We combine shipping, any questions, please contact us. Original Polly Pocket compact from Bluebird Toys England 1990. Items are in played with condition but display very nice, only 1 available, you’ll receive exact items in the picture. Comes with Polly. We combine shipping, any questions, please contact us.